The series reaches its majestic climax. Who will win Greg Davies's coveted golden head to become just the seventh Taskmaster Champion in history? The celebrity torture is almost over as the series climaxes. Aisling Bea leaps cushions, while Bob Mortimer educates us on Dumfries and Galloway. 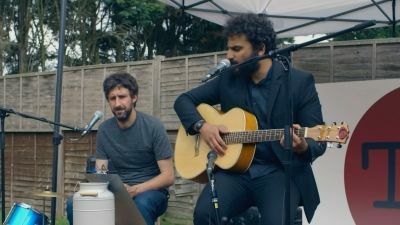 Mark Watson and Nish Kumar pop toast together and Sally Phillips spreads absinthe on it. Greg Davies dishes out the absurd A-list challenges again. 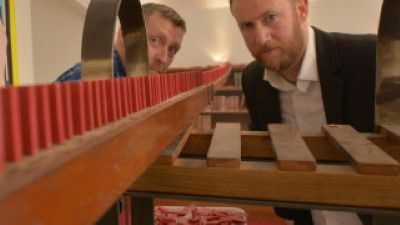 Two episodes remain in the series and with Greg Davies's shiny head trophy within touching distance, tensions are beginning to run high between the beleaguered contestants. 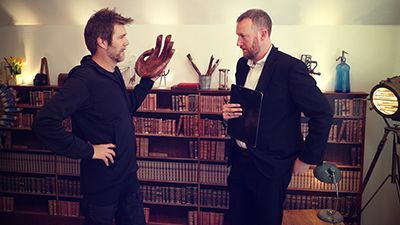 Rhod Gilbert force-feeds mocha to Taskmaster Greg Davies' loyal assistant Alex Horne, Kerry Godliman boshes a ball and Phil Wang makes an odd noise. The consensual celebrity humiliation continues at the hands of wicked Greg Davies. 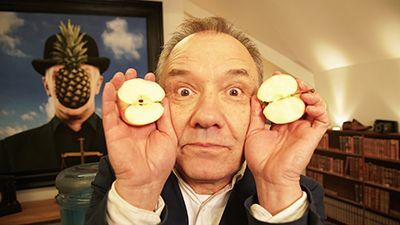 Bob Mortimer champions sausage meat and Sally Phillips returns to the womb. Evil Greg Davies sets comedians cruel conundrums. 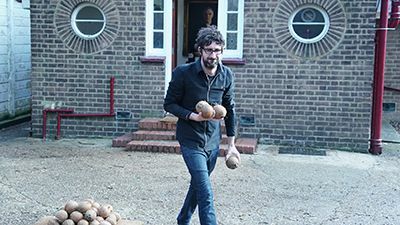 Nish Kumar is presented with a coconut harness, while a blindfolded Sally Phillips handles a slice of bread. Greg Davies sets tasks that are bizarre, cruel - and very funny. Sally Phillips faces an amorous watercooler. 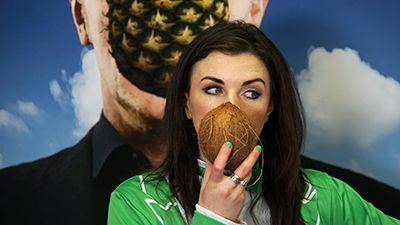 Aisling Bea crams a dish into a balloon. 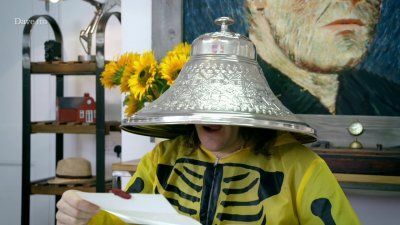 In the series finale, Noel Fielding finds an unlikely soul mate, Lolly Adefope shows everyone the money, and Mel Giedroyc bites off more than she can chew. 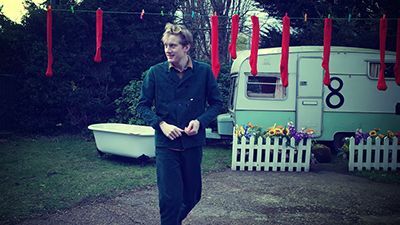 Phil Wang makes sure his outstanding outfit leaves even less to the imagination that it did before, Jessica Knappett demonstrates her mastery of a child's percussion instrument and James Acaster's dream comes true. 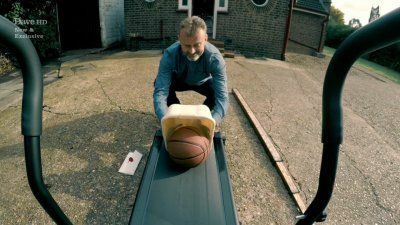 Proving he's as diabolical in real life as he is in the Inbetweeners, Greg Davies sets our five celebs absurd tasks such as jelly-balancing and coconut costumery. 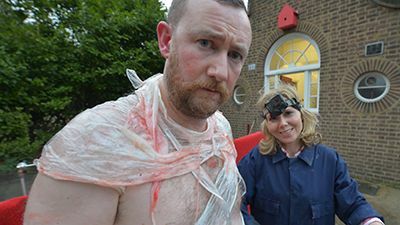 Hugh Dennis wields a blade, while Mel Giedroyc destroys a mannequin. Greg Davies sets five comedians some bizarre - some would say cruel - tasks. Noel Fielding has a sliding session, while Swedishman Fred receives an intense video call. 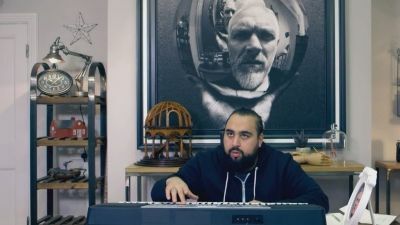 The Taskmaster Greg Davies returns, sending fear coursing through the veins of James Acaster, Jessica Knappett, Kerry Godliman, Phil Wang and Rhod Gilbert. 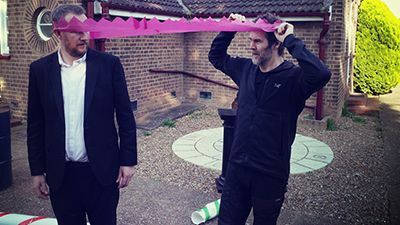 Greg Davies challenges his five fearful funny people to entertain him by completing more baffling challenges, which this week involve corneas, crackers and construction. Lolly Adefope tries long distance painting. Hugh Dennis is befuddled by an egg. Exasperated comics are set absurd tasks! Before the series winner is crowned, we find out which celeb has the dishiest relative and why Rob Beckett is mad at peas. Phil Wang makes ogres poignant, Jessica Knappett mimics a funny noise and James Acaster finds circles. 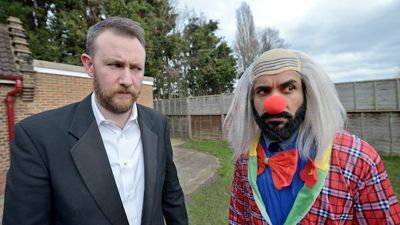 Alex Horne records it all for Taskmaster, Greg Davies. 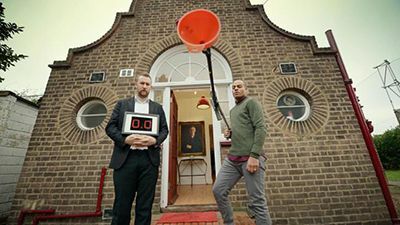 Greg Davies returns as the Taskmaster as five new comedic competitors tackle a raft of tricky tasks with today’s episode including a potato-throwing moment set to make television and sporting history. 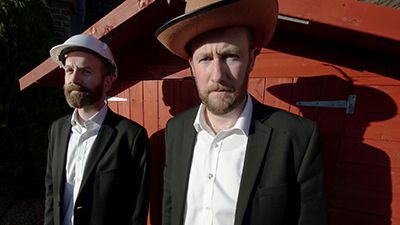 In the last episode of the series, the five comics are not only playing for homemade chowder but also for the inaugural Taskmaster series winner’s trophy. 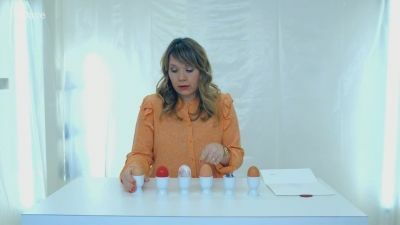 Tasks include playing golf with eggs and cooking a meal using ingredients starting with every letter of the alphabet. 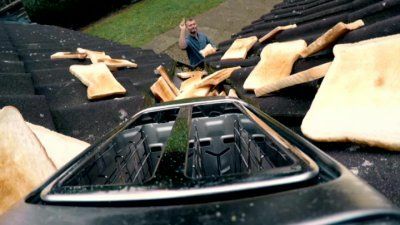 Greg Davies thinks outside the box - or inside a cement-filled shoebox in Rob Beckett's case - as he sets nutty tasks. 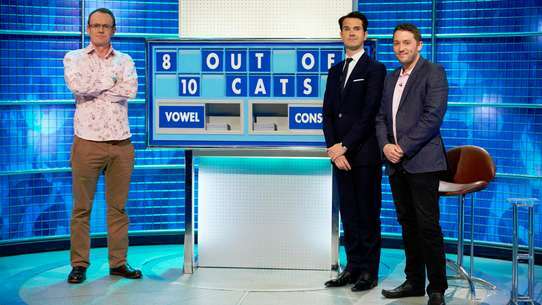 Dave Gorman gets all bitey! What will Mel Giedroyc do to a pommel horse? And why are Alex Horne and Noel Fielding dancing like shrews? Dastardly Greg Davies sets the nutty tasks. 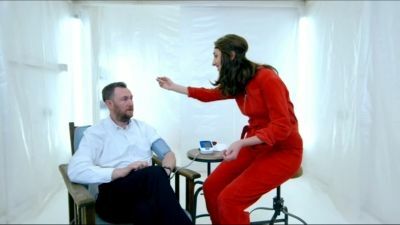 Jessica Knappett piles shoes on a butcher's scales, James Acaster tries an emergency alarm and Rhod Gilbert smears mustard in his eyes - all to please Taskmaster Greg Davies.